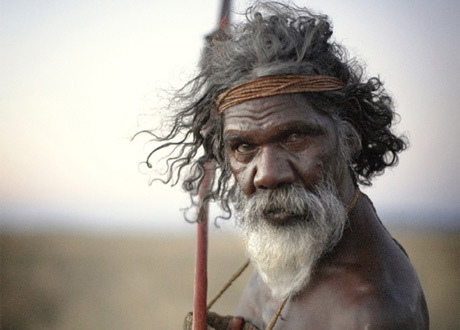 Dreamtime, or “The Dreaming,” is a spiritual concept of the Australian Aboriginal tribal peoples. To define Dreamtime is a bit tricky, as there are several ways in which the word is used. Meanings vary from tribe to tribe, but the basic concepts appear consistent. 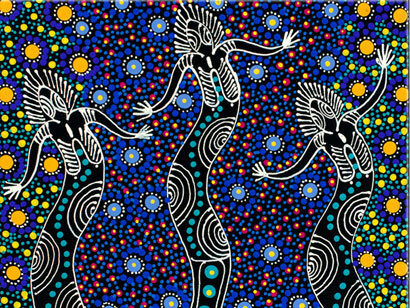 According to Aboriginal mythology, our world (physical life on earth) was “dreamed” by the ancestor spirits who dwell in Dreamtime. 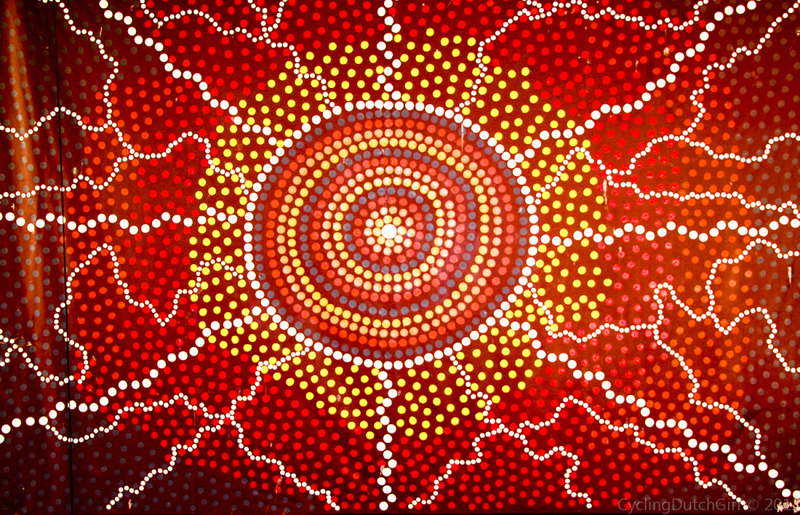 The Dreaming or Dreamtime also refers to a sacred era of creation. “Ancestor beings rose and roamed the initially barren land, fought and loved, and created the land’s features as we see them today. 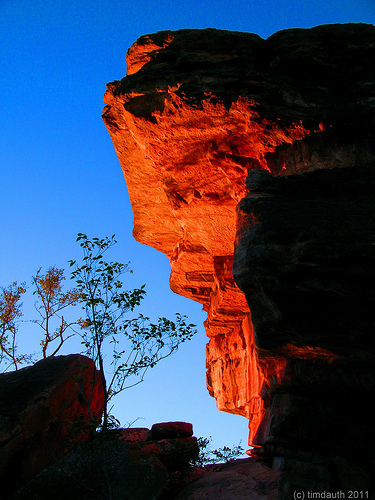 After creating the ‘sacred world’ the spiritual beings turned into rocks or trees or a part of the landscape. 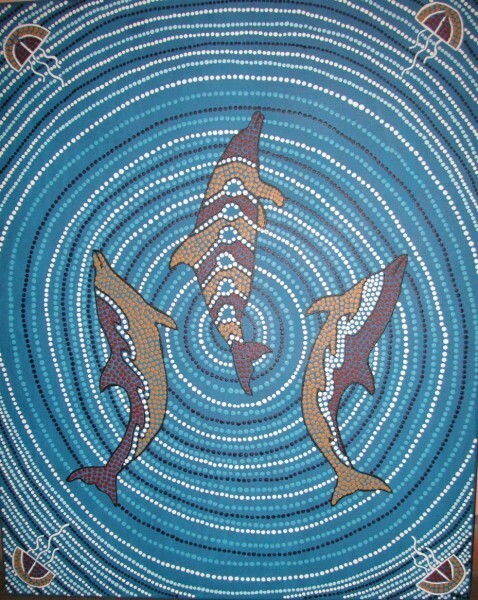 These became sacred places, to be seen only by initiated men.” (Aboriginal Art.) “The landscape is almost an externalisation of the individual’s inner world. Each tribe had a traditional area of the land which was theirs alone,” notes dream scholar Tony Crisp in his article “Australian Aboriginal Dream Beliefs.” Additionally, an individual’s Dreaming can refer to their cultural identity & spiritual allegiance. 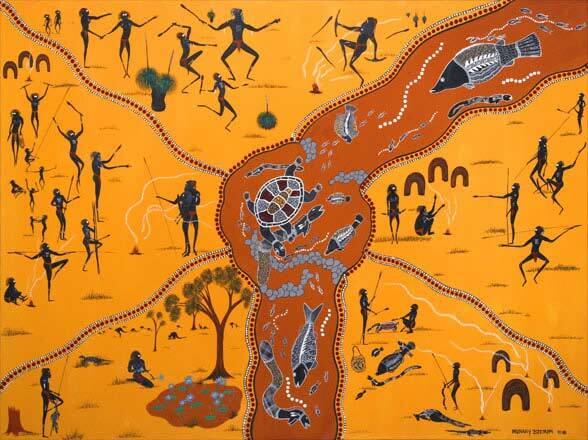 “Each Aboriginal person identifies with a specific Dreaming,” relates Aboriginal artist Paddy Japaljarri Stewart. “It gives them identity, dictates how they express their spirituality and tells them which other Aboriginal people are related to them in a close family, because those share the same Dreaming. 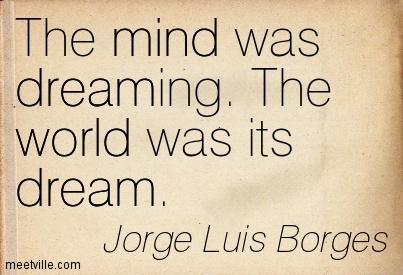 One person can have multiple Dreamings.” (What Is the Dreamtime?) For example, an Aboriginal person might identify as having “Wallaby Dreaming.” As I understand it, this concept is similar to the Native American relationship to spirit animals or totemic allies in that it may have been received in a vision, although it also may have been inherited as a family totem. One having Wallaby Dreaming will draw upon the Wallaby’s spirit for guidance. This oneness-oriented or pantheistic worldview is held by most ancient peoples—it is only the Western world & modern man who has increasingly cut himself off from his surroundings, other creatures & his fellow man, feeling so separate as to breed an epidemic of disconnection. Yet, we strain against this isolation, reaching for what we sense we once knew in what psychonaut-writer Terence McKenna has called “The Archaic Revival“….Modern man’s resurrected interest in the wisdom of ancient cultures. As highly respected Dhungutti Elder Rueben Kelly states, “Centuries ago you white people chose the path of science and technology. That path will destroy the planet. Our role is to protect the planet. We are hoping you will discover that before it’s too late.” “The experience of Dreamtime, whether through ritual or from dreams, flowed through [into life] in practical ways,” adds Tony Crisp. 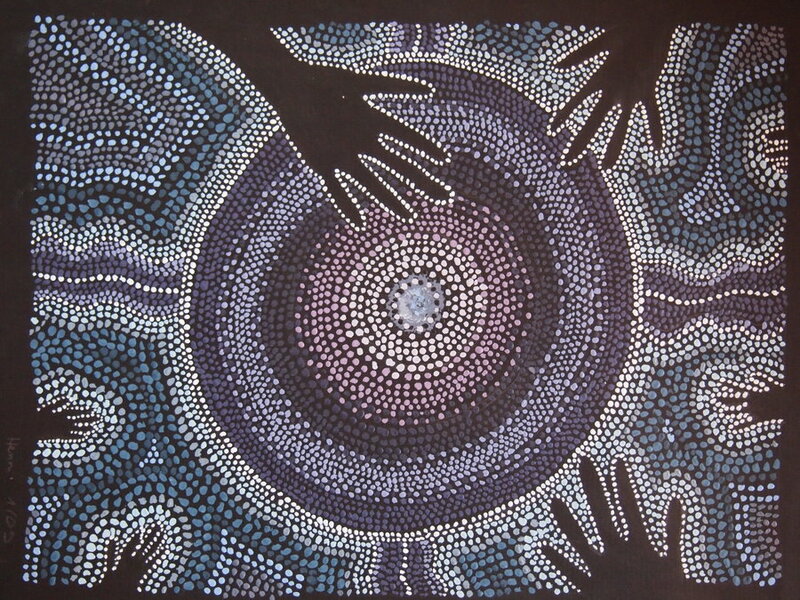 “The individual who enters the Dreamtime feels no separation between themselves and their ancestors. The strengths and resources of the timeless enter into what is needed in the life of the present. The future is less uncertain because the individual feels their life as a continuum linking past and future in unbroken connection. “Through Dreamtime the limitations of time and space are overcome. It is a much observed feature of aboriginal life that knowledge of distant relatives and their condition is frequently displayed. Therefore if a relative is ill, a distant family member knows this and hurries to them. Often the intuitive knowledge of herbal medicine is gained also.” “For the aborigine tribes,” notes Crisp, “there is no ending of life at ‘death’. Dead relatives are very much a part of continuing life. It is believed that in dreams dead relatives communicate their presence. At times they may bring healing if the dreamer is in pain. Death is seen as part of a cycle of life in which one emerges from Dreamtime through birth, and eventually returns to the timeless, only to emerge again. It is also a common belief that a person leaves their body during sleep, and temporarily enters the Dreamtime. (Australian Aboriginal Dream Beliefs.) 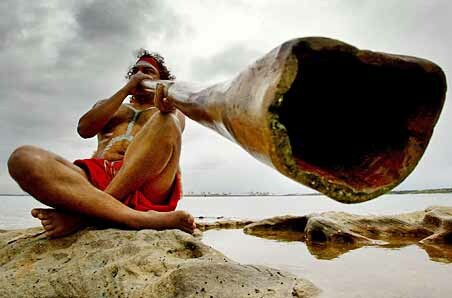 A person is also thought to enter the Dreamtime during ceremonies & while listening to or playing ancestral music. “The melodies, tunes, harmonies and rhythms of Aboriginal music included traditional ceremonial songs that were handed down from generation to generation,” notes researcher & author Ellie Crystal. “It was very important in Aboriginal thinking, to replicate the songs that had been first played and sung by the ancestors in the Dreamtime. When the traditional music and songs were used, living men considered themselves to be in the Dreamtime. Particularly during initiation ceremonies.” The idea of this world as a dream is an ancient & fascinating concept, echoed by the Hindu idea of Maya, or “world as illusion,” and the Buddhist concept of Samsara. But unlike these Eastern perspectives, for the Aborigines, there appears no negative connotation to this world being a dream. It is no delusion to be escaped, but rather a sacred experience to be honored & celebrated. It’s simply not the ultimate reality…and everything is connected & related beyond visible boundaries & lines, being all within the same dream. I’ve had experiences during sacred vision questing where the serendipity & related connectivity of people, animals & events struck me as mind-bendingly improbable when set against the yardstick of our rational materialist worldview; beyond coincidence. 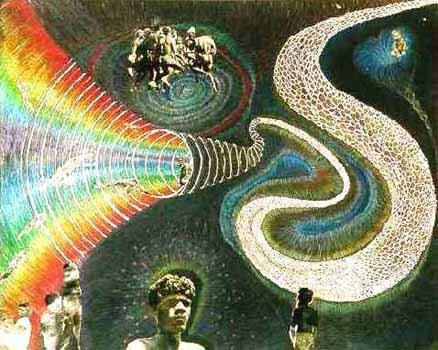 If this world is dreamed into existence by timeless primal beings, as the Aborigines—most ancient of peoples—believe, then all our laws of science can still co-exist alongside a larger mystical fluidity. Within the dream, there are laws. Gravity, for instance. Cause & effect. 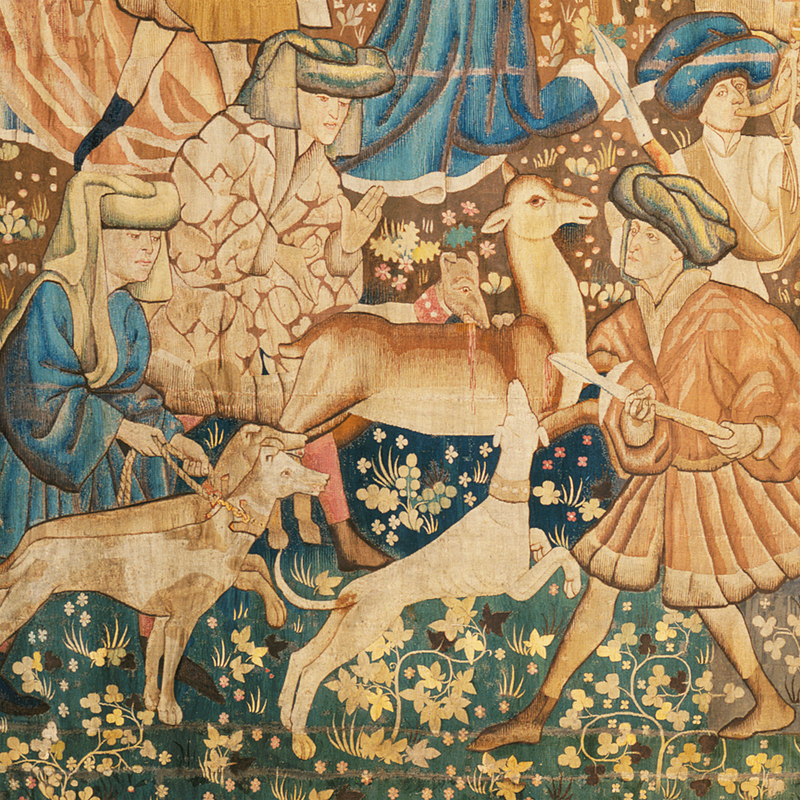 Yet if all exists within the same dream, reality is like a tapestry; there may be an image here of a horse, there of a man, beside him a tree—but their threads interconnect. They are all part of the same living tapestry. This is scientifically more accurate than our concept of rigid separation & division, as the molecules composing my hand touching a tree are no different than the molecules that make up its rough bark. Though they appear vastly so to the perceiving eye. And the brain categorizes them as worlds apart: tree, man. But if we are all Dream Beings interacting in the same evolving dream, all players portraying separate roles that yet exist in the same interwoven living tapestry, with common threads, it stands to reason that things are not so fixed as they may feel. While the laws of science remain within the dream, there is no reason why a greater coherence can not express itself at the same time, manifesting as serendipity, connectivity; mystery. 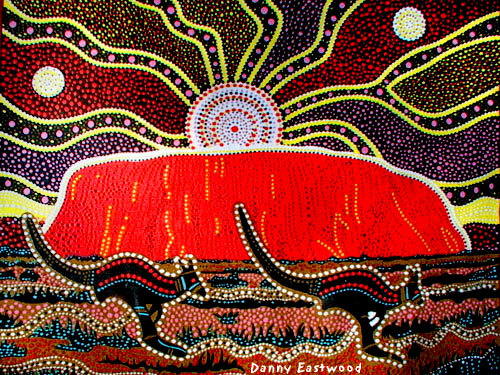 *It would be irresponsible to offer these beautiful cultural gems without acknowledging that, despite this rich & sacred heritage, the conditions of modern urban Aborigines are despairingly dystopian—their stigmatization & mistreatment, at the hands of first the British invaders & then the Australian government, echoe the tragic dynamic so often seen when the new world meets the old. Visit Survival International to see how you can help. 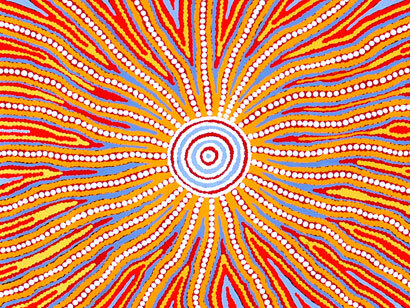 Tagged: Aboriginal Dreamtime, Consciousness, Cosmic Connections, Dreams, Dreamtime, Serendipity, Shamanism, Soul, Spirit, The Dreaming, The Mystery, The Seeker's Journey, Visionary Thinking, What is Real? I completely agree with everything you said about the mental health field having become caged in dogmas, restrictive regulations & all around limiting conformity. I think a lot of people feel this way…and I think you should take hope in the fact that your feelings represent those of many others. You might consider re-approaching psychology in some capacity. A lot of people are integrating more expansive techniques into the healing field. A background in psychology, and any degrees, would add a lot of clout to whatever you do, yet you could incorporate less traditional modalities. Personally, I think a major defect in modern psychology/psychiatry is its denial of the soul, its fear of using any kind of soul-related language for fear of mixing “religion” (though there is a huge difference between religion & spirituality) with the mental health field…When in my experience, the soul is where the answers lie! If we are to get out of our egoic prisons…to become who we are & truly heal…it’s very hard to get there without embracing the presence within & accessing that timeless guidance system. To separate psychology from spirituality is understandable in that it was necessary to differentiate it at one time from religion. But this need is outdated; vestigial. We have a grander concept now of the universe & all its mystery. Science itself has shown us the magical wonder of the quantum universe & all its inexplicable, fascinating mystery. Now we need to integrate what has become compartmentalized in an unhealthy way. Psychology is so petrified of itself being labeled “crazy,” so fixated on being taken seriously as a science, that its fierce clinging to conformity & norms has blocked it from taking any kind of risk, and hence finding true, deep insight. One major example is the idea of “magical thinking” (I had a post up about this, which I deemed necessary to re-edit, so it’s temporarily down, but I’ll make a note on this thread when it’s back up because I believe it addresses some related points). But even that old concept of “doctor & patient” has become outmoded. Thank God Postmodern Therapy & Narrative Therapy have taken up this idea & run with it in a new direction….It really needs to be admitted that the “expert” is more accurately an ally than an authority, and the student can be the teacher, and they are just two people on a journey together, one lending support & guidance to the other’s process. Carl Jung was an exception, in terms of acknowledging the Mystery, the importance of intuition & the presence of a larger coherence at work…If only more psychologists could be as brave. William James, also, is fascinating as a figure, though he can be a bit dense to read. Have you read him? An early 20th century “mystical psychologist” interested in examining the workings of revelation & consciousness. Another example, I think, of where the psychiatric field has utterly failed its patients is so-called bipolar disorder. As a fellow sensitive,I don’t need to tell you that the workings of the sensitive, creative mind & soul are oftentimes quite active, and therefore extreme…It’s called, as any artist can tell them, process. Yet, the mental health professional sees a person with drastically contrasting moods & prescribes a “mood stabilizer.” I would rather have my lows & my highs. I get insight from each. I’m not saying that less lows is not a desirable goal, but I think pain has something to tell us, and if we just remove its voice we aren’t getting any closer to healing. It’s human to have highs & lows. Psychiatry is trying, it appears, to white-wash humanity & its spectrum of emotion into flattened out homogeny. It’s incredibly Orwellian! I assume since you mention conformity you’ve read the post, “The Politics of Normalcy,” but I have to mention it just in case you have not. I really enjoyed getting into that subject, because it explores what I feel are such timely questions. Where would our great works of art be if Vincent Van Gough had been medicated? And would he have been happier simply by being more “normal,” but having been unable to express his pressing inner visions? Too many people suffer in silence because they have no clear outlet, allegiance, support, or even language, for their experience. I’m trying to help change that in some small way. And each one of us can! Thanks so much for your detailed reply:)! It really rocks my shoes that you wrote back!:)! I’m still reeling-still in awe, actually. In all honesty, I laughed, and looked up at the ceiling, smiling, and said, “Eddie and Eddie-I can’t believe your little girl wrote to me.” I wasn’t going to tell you that part, and then, I thought, “Why not? It’s exactly what happened. You have really set me ablaze with your observations, given much that comforts me, and makes me ponder, and I want to be sure you get a proper reply, but it’s a very stressful time for me, and, I have not been able to get something together that is both befitting of your efforts-and fully conveys how those efforts have propelled and compelled me to keep finding my voice and convey what I wish to say. So, I wish to apologize, and I am responding with this in the interim, as I do not any want more time to pass without responding back in some way, lest you get the erroneous impression that you did not make an impact on me (because you have made a marvelous one) and I am still recommending Parallax like crazy….and sugar in wartime too:)! It’s my pleasure, as it keeps my social consciousness raised (where I want and need for it to be:)! I have a question for you. Are you still available at tai@taicarmen.com and do you still offer your services RE: editing poetry? Even if you don’t/are no longer able to, I’d like you to have something of mine as a gift, if that’s alright with you. I noticed that you wrote a book called Pollen, but it looks, at least amazon.com wise, as if it is out of stock:( which is something I can’t fathom, but I did want to let you know that I am diligently working to track down a copy, and if I’d have known, I would have already had a copy a long time ago:)! I am not that familiar with your mom (but that is changing now:) and I actually and she is listed as having appeared in Eight is Enough as a guest star, and I actually own EIE, so when I have a minute, I am going to go through and find her episodes, and study her acting. The news of your putting together the works of Eddie and Edwards (I like that-it’s cute:) filled me with such a poignant warmth, I cried. What a huge undertaking and a grand (in the most humble and heart intended way) and needed mission. So glad to inspire! I’m excited about the Eddie/Edward writing project as well! I’m so thrilled to hear I can be of inspiration! You are currently reading Adventures in Aboriginal Dreamtime at PARALLAX:.